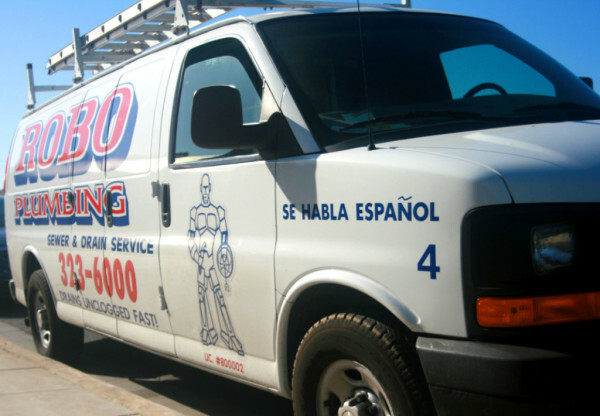 Robo Plumbing offers a wide range of services to both residential and commercial properties. Our trained plumbers are experienced in drain cleaning and plumbing repair, gas and water line repair and installation, water heater repair and installation, septic services, and more! Eventually, this is a problem that every home owner or business owner runs into. Whether it's grease and food build up in your kitchen drain, hair and soap in your shower or sinks, or paper and other objects in your toilet, you'll need a professional plumber to help you unclog those drains. Robo Plumbing offers 24/7 drain cleaning services to take care of any clogged drain. To prevent septic tank overflow, your septic tank should be properly maintained. Robo Plumbing offers a range of septic services in Bakersfield, CA and all of Kern County, including emergency septic tank pumping, acid treatment, and septic inspections. Whether you are experiencing an emergency overflow or just need regularly scheduled septic services, you can rely on your local professional plumbers. Rather than dig through your entire yard to replace a broken sewer line, it is often possible to do a trenchless sewer line replacement. Using the newest trenchless plumbing technology, our experienced Bakersfield plumbing technicians can locate your sewer line and run a new replacement pipe through the existing old pipe without having to dig through the entire area. Years of build-up in kitchen, washer, or sewer lines can be tough to break through, even for a plumbing snake. For difficult clogs, our professional Bakersfield plumbers offer hydro-jet cleaning services. Using high pressure water streams we can remove grease and debris from any drain. Don't waste your money on insufficient products, call your professional Bakersfield plumbers. The experienced Bakersfield, CA plumbing technicians at Robo Plumbing use advanced plumbing technology and methods to detect any pipe leak, including water leak detection for lines located in the attic, walls or underground, and gas leak detection for water heater, fire place, dryer gas lines, and more! Don't risk the safety of your home, call experienced Bakersfield plumbers! Running water is essential to any home or business. Whether you are experiencing a water leak or need a new water line installation, you need an experienced plumber to rely on. Robo Plumbing offers free estimates for any water line installation or water line leak repair in Bakersfield, CA. We are experienced in simple water line repairs and complex commercial water systems, call today! When it comes to gas lines, you want to invest in the best possible quality work. Robo Plumbing has the professional skills and technology needed to repair or install natural and propane (LPG) gas lines for residential and commercial properties. When you have a gas line installation you need done, call your professional Bakersfield plumbers, so you know the job is done right and in a reasonable time. Roots and other objects can obstruct the flow of sewer lines, causing sewage back-up into your toilet, shower, or other house drains. Robo Plumbing offers video camera inspection for the main sewer drain as well as other lines to detect the location of line blockage and fix the problem. When you need professional camera inspection, Robo Plumbing offers the best in Bakersfield, CA. Robo Plumbing offers reasonable prices, professional work, and convenient scheduling for whole house repiping. For the customers convenience, our experienced Bakersfield plumbers offer copper and AquaPEX repiping. When you need the job done right, rely on Robo Plumbing. Call anytime for a free estimate from our professional plumbers! Whether your bathroom is full of outdated and broken plumbing or you just need your shower and toilet relocated for a new bathroom look, Robo Plumbing has you covered. We offer free estimates for bathroom remodels and convenient appointment scheduling. Call your professional Bakersfield plumbers today! If you are experiencing a toilet, shower, or faucet leak, or just want to replace old fixtures, Robo Plumbing has you covered. Our plumbers are experienced in offering fast, cost-effective fixture installation and repair services in Bakersfield, CA. Whether it's your shower, faucet, sink, or toilet, we have the skills and parts needed to get the job done to your satisfaction. Call today for a free estimate! Home and business owners understand the importance of having working hot water on their property. That's why Robo Plumbing offers a range of water heater services, including water heater repair, installation, and tankless upgrades. We take the time needed to provide an accurate diagnosis of your water heater problem to offer the right fix for the job. We also provide replacement services for the customer when the water heater cannot be repaired. We know that water heaters are expensive, that's why you should rely on a professional plumber, call today!